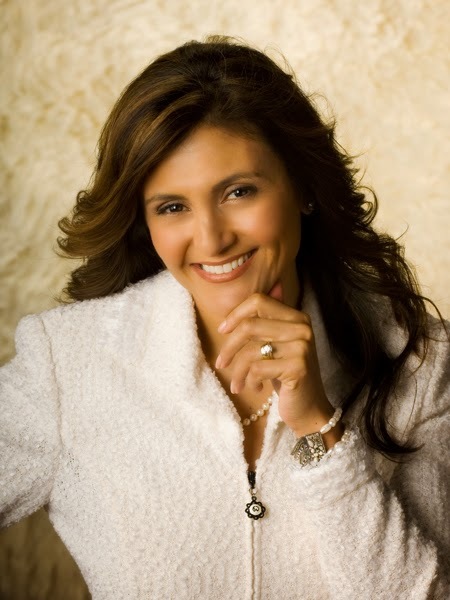 A Safe Haven Foundation, President, Neli Vazquez-Rowland, named among 2014 Enterprising Women of the Year Award Honorees by Monica Smiley, publisher and CEO of Enterprising Women magazine. Monica Smiley has announced the winners of the 2014 Enterprising Women of the Year Awards, an annual tribute to top women entrepreneurs from North America and around the world. Honorees will be recognized during an event held Sunday, March 2 through Tuesday, March 4 at the Ritz Carlton Sarasota in Sarasota, Fla.
2014 marks the 12th year for the annual Enterprising Women of the Year Awards, widely considered one of the most prestigious recognition programs for women business owners. To receive recognition, nominees must demonstrate that they have fast-growth businesses, mentor or actively support other women and girls involved in entrepreneurship, and stand out as leaders in their communities. Many of the honorees also serve as leaders of key organizations that promote the growth of women’s entrepreneurship. Advocacy Award, and two women will be recognized with the 2014 Legacy Award. The annual awards celebration honors recipients of the Enterprising Women of the Year Awards. These outstanding women entrepreneurs have demonstrated that they own and manage fast-growth businesses; mentor and give back to help other women business owners; and are leaders in their communities. It also offers unparalleled networking opportunities for women business thought leaders and established and emerging women entrepreneurs from the United States and around the world. Widely regarded as one of the premier networking opportunities for women business owners in North America and beyond, the event is open to winners and finalists of the Enterprising Women of the Year Award, corporate supporters, members of the Enterprising Women Advisory Board, VIPs in the women’s business community, readers of Enterprising Women magazine, and members of the many partner organizations affiliated with Enterprising Women. “The Enterprising Women of the Year Awards celebration continues to grow each year, attracting more and more nominations from outstanding women entrepreneurs around the world. Our class of 2014 includes 17 honorees from outside the United States, representing Canada, the United Kingdom, South Africa, Ghana, Egypt, Kenya, India, the Netherlands, Hong Kong, Brazil, and Switzerland…” Smiley said. “There is strong support for this event again this year from corporations that are committed to the growth of women’s entrepreneurship,” Smiley said. “Many of these companies have supported this event for a number of years and three of our sponsors – UPS, American Airlines and IBM – have supported us for all 12 years that we have held this awards event,” Smiley added. “I am honored to be named one of the Enterprising Women of the Year Award winners, and I am looking forward to meeting and celebrating this prestigious honor with the other honorees, Monica Smiley, President of Enterprising Women Magazine and her team and with all of their supporters, dedicated to celebrating other women doing great things!” said Vazquez-Rowland. For more information or to register to attend the 2014 Enterprising Women of the Year Awards Celebration and Conference, visit www.enterprisingwomen.com. for women business owners that chronicles the growing political, economic and social influence and power of entrepreneurial women. The magazine provides a friendly meeting place, a public forum and a national stage for the critical issues confronting women’s businesses and daily lives from the unique perspectives and experiences of entrepreneurial women. Published in both print and digital editions, the online edition of the magazine reaches nearly one million readers in 185 countries. For more information, please visit http://www.enterprisingwomen.com or call (919) 362- 1551.